itunes.apple.com/us/album/meu-kam….-2/id1095293296 open.spotify.com/album/0psVAhifMw7TJ1yOKsQ3o1 www.deezer.com/album/12680584 https://www.amazon.com/gp/product/B01DB7CBPK @rockymarsiano's first album, Meu Kamba, felt like the very natural, spontaneous reaction between a serious hip hop head, an MPC and a deep collection of Lusophone African records. Upon its release the album immediately drew loads of attention, and Rocky Marsiano quickly hit the road across Europe. 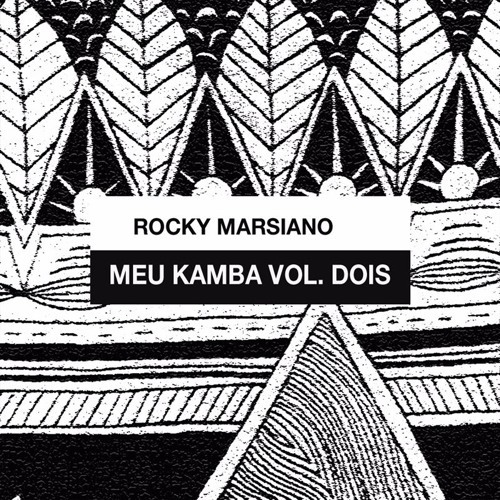 Performing as a sound system with musicians naturally led Rocky Marsiano towards this second volume, which follows a very different approach: "Meu Kamba was made very impulsively - if I felt a track worked, if there was a good balance to it, I didn't go much further with the production because I wanted it to sound raw. On this new volume I did exactly the opposite: every single track was experimented on, its possibilities tested. So this time around there's a lot more production on every track: bass lines, retro synths, guitar licks, extra vocals, different drum patterns and textures... It took almost two years to pick the original songs reinterpreted here. Months of a musical journey which led towards a lot of music and influences from Guinea Bissau, which wasn't a part of the first Meu Kamba. "With this second volume I want to close the cycle, finish a story: my hommage to music from Lusophone Africa."